QUEVEDO, Ecuador -- These might be the most adorable photos you see all week. The sloth was taken to a veterinarian who specializes these types of creatures. The little guy was determined to be OK and taken back to its habitat. 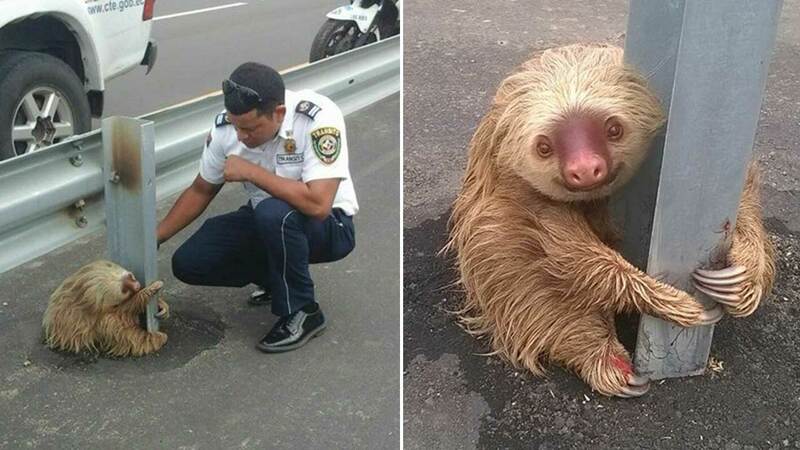 After the sloth was found, checked out and released, the executive director of the Ecuador Transit Commission gave order that all animals found on streets and highways have to be immediately attended to.